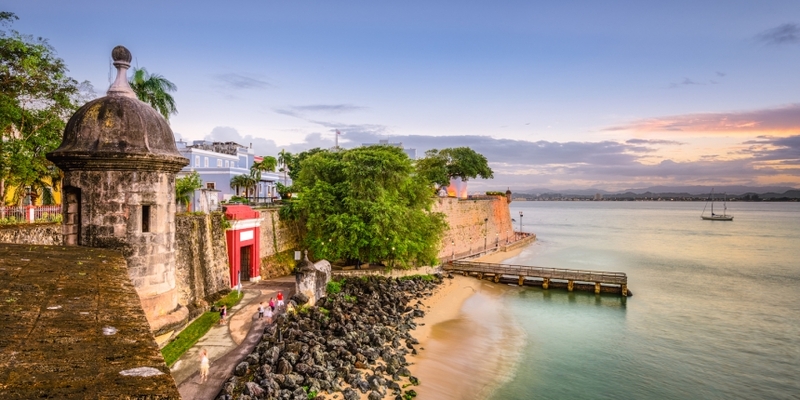 San Juan Mercantile Bank & Trust International (SJMBT), a new Puerto Rico-based institution catering to traders of cryptocurrency, has opened for business. The bank will provide custody and settlement services for both fiat and crypto traded on the exchange. SJMBT itself is not insured by the U.S. Federal Deposit Insurance Corp. (FDIC), but a spokesperson told CoinDesk it will place clients’ deposits at correspondent banks. Similarly, customers’ digital assets will be held at “approved digital asset custodians,” the company said. The spokesperson would not name any of the bank’s correspondents or custodians, nor its initial clients. Keeping custody and trading under the same roof will bring certain benefits, MGH said. For example, the exchange will take into account customer balances on deposit at the bank when setting trading limits, enabling the bank to settle trades in real time. “As more liquidity venues onboard with SJMX to trade digital assets, SJMBT will provide critical services, such as real-time settlement and account re-balancing, in support of our customers’ trading activities,” said Nick Varelakis, president and chief operating officer of SJMB&T. MGH’s leadership includes veterans of well-known financial companies. Varelakis, for example, is a former executive director of JPMorgan Chase for business architecture and transformation, as well as a former chief operating officer of Puerto Rico’s Noble Bank, best known in the crypto space for its erstwhile relationship with Tether, the company behind the namesake stablecoin. Moreover, the MGH bank and exchange were founded a year ago by J. Robert Collins Jr., former president of the New York Mercantile Exchange (NYMEX, a part of CME Group) and a founder of the Dubai Mercantile Exchange. Trading will launch imminently, the company indicated. “With the new customers onboarded at [the bank], [the exchange] is able to launch exchange operations, via the SJMX Dark Pool platform and through SJMX Blocks, its over-the-counter (OTC) trading venue,” MGH’s press release says. Banking remains hard to come by for cryptocurrency market participants, with only a handful of institutions willing to serve the sector due to money laundering concerns and other perceived risks.